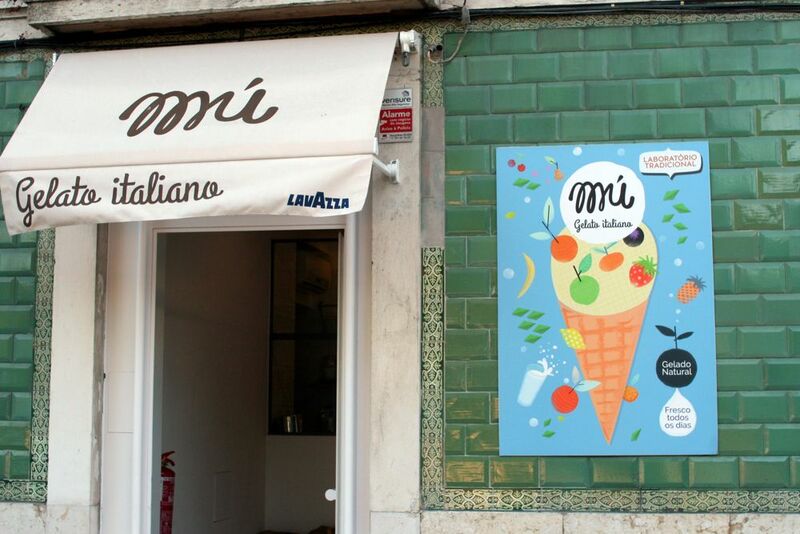 We don’t quite dare to say that Gelato Mú offers the best ice cream in Lisbon as we haven’t been to all ice cream parlours yet. 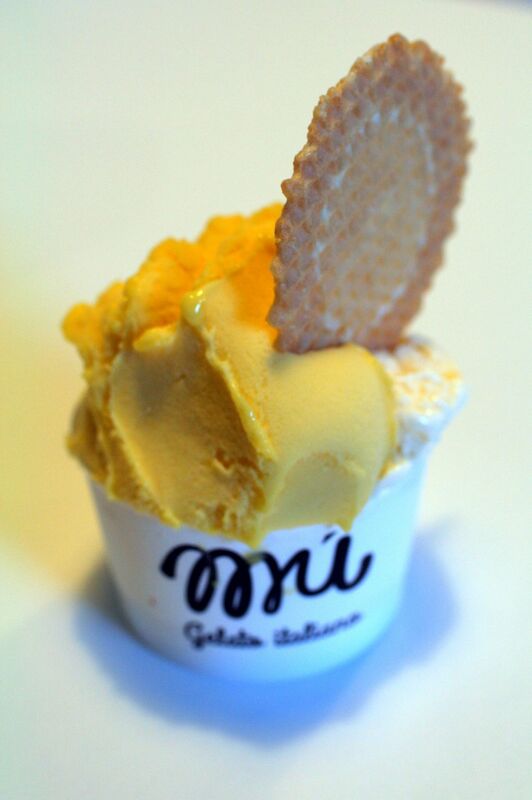 However, they surely offer authentic Italian gelato of a quality that has very little comparison in Portugal. Even though it is tucked away on a hill between the blue and the green metro line, we have made the hike numerous times since its opening in June 2014– always with the good consciousness that by the time we reached the top of the hill we would have burned enough calories to indulge in Mú’s frozen glory. And luckily, as they add very little sugar we can even pretend that it’s healthy! But apart from added sugars, what makes a good gelato and how can you recognize it?First of all, it’s important to pay attention to the way the frozen treat is presented. It might look very pretty when the ice cream maker piles up a little Mount Everest of ice cream but it is often a sign for the usage of preservatives to keep the ice cream from flowing down. On the other hand, if the ice cream fills the box only until or a bit above the rim, it can also be a good indicator that the ice cream is made fresh. To keep an even temperature and to prevent the ice cream from melting, many Italian ice cream parlours therefore use closed round metal containers instead of open boxes. This is also the case with Mú – no need to show off the ice cream, it’s about the quality and quality requires the ice cream to be stored at a stable temperature. Next step is to closely look at the colour of the ice cream, specifically sorbets. Those usually don’t need more than fruit, sugar and maybe some water. Apple sorbet for example – if it is made with no artificial colourings, it should look white with a light green touch or a very soft caramel colour in the case of red apples. No, that lurid, garish green cream is surely not just made from apples, not even green ones. And what about those cute colourful sprinkles and the shiny luscious sauce on top? That’s not necessarily a bad thing but it is often used to hide ice cream of lower quality. Good gelato needs only very few ingredients but those have to be of good quality – if the ice cream maker does not want to invest extra money in those, they will try to cover the inferior quality with additives. 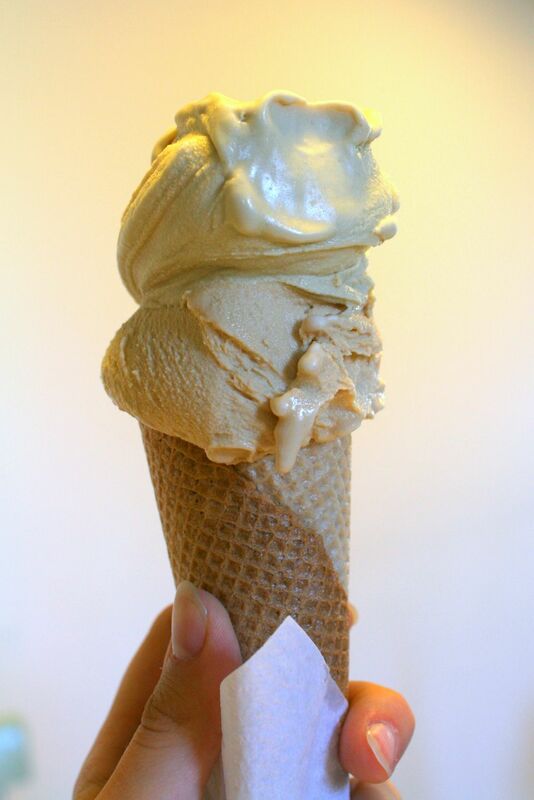 And if you are looking for real Italian gelato, pay attention to the way the ice cream is served – a kind of flat Italian spatula is the only way to go. In the case of Mú, you can’t see the colour of the ice cream before but they pride themselves with the claim that they do not use any artificial additions and even use a flat spatula for serving. Looking at the pictures of the four flavours we have tried the last time we have been there – mango and vanilla (Nout) and salted caramel and pistachio (me) – that seems absolutely valid. On top of that, Mú also tries to use seasonal and regional fruits which does not only say something about the quality of the ice cream but also about their moral compass. As the two Italian founders Marco and Elena, say themselves, they chose Portugal for their gelato business because of the variety and quality of Portuguese fruits. Furthermore, they even offer options for lactose intolerant and gluten free cones, something that we haven’t seen in other places yet. 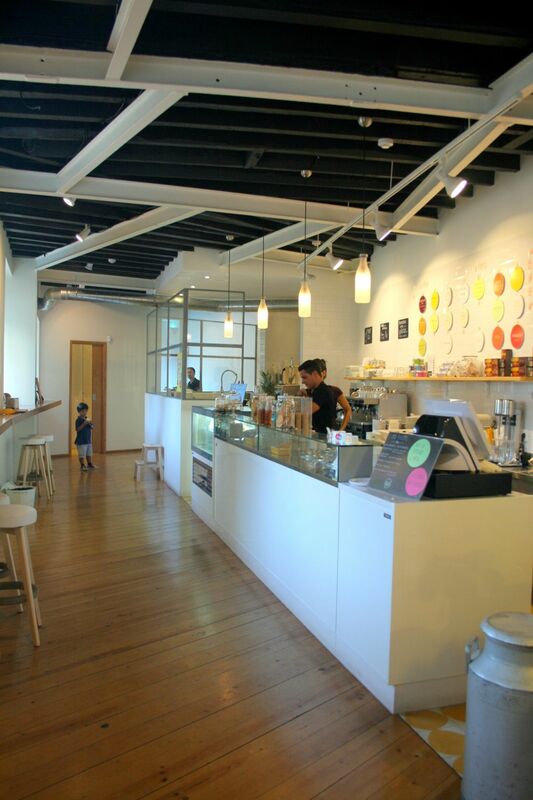 ← FÁBRICA COFFEE ROASTERS: Time for a Portuguese coffee revolution?